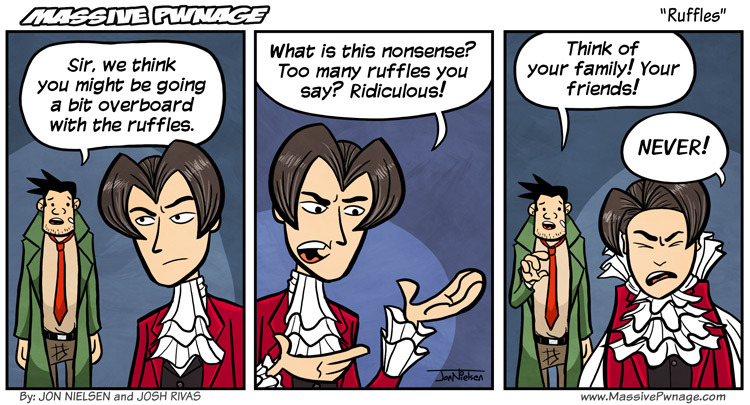 Edgeworth has a fever, and the only prescription is more ruffles! You can tell how, from panel to panel, I gradually got better at drawing ruffles. I love how they came out in the last panel. 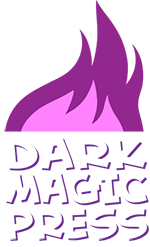 This entry was posted on Friday, November 19th, 2010 at 12:00 am and is filed under Comics. You can follow any responses to this entry through the RSS 2.0 feed. Both comments and pings are currently closed. OBJECTION!! Gumshoe’s Coat is too green!! Me either. This “Edgeworth” person. Is his mutant power the ability to grow a collar in the 3rd panel of a cartoon he’s drawn into?